Rehabilitation Retreats for Families Affected by the Antі-Terrorist Operation (ATO) in Eastern Ukraine. In April 2014, Canada-Ukraine Foundation (CUF) initiated and conducted a needs-assessment in Ukraine to identify optimal means of addressing the medical requirements of those affected by the Euromaidan protests. While the primary management of injured patients was conducted with remarkable resourcefulness, the psychological trauma endured by many required action from the CUF medical response committee. In the Spring of 2014, psychologists from different regions of Ukraine were brought together for a training seminar on how to treat patients suffering from depression and PTSD. These same psychologists are now counseling soldiers from the frontlines, war widows and children who have subsequently become half-orphans due to the War in Eastern Ukraine. The Program treated families affected by the ATO (in groups of approximately 40 people), from different regions of Ukraine. Those affected came together for relaxation and rehabilitation at hotel Khatky Ruslany in Vorokhta, Ukraine. Participating families were selected with guidance from the Ministry of Defense of Ukraine, the Security Service of Ukraine, Initiative E+, other NGOs and lists of widows provided from the volunteer battalions.Four Sessions were run in 2014 and treated 47 families (108 people in total) from Lvivska, Volynska, Ternopilska, Khmelnytska, Zhytomyrska, Kirovohradska, Sumska, Chernihivska, Kyivska, Dnipropetrovska, Kharkivska, Poltavska, Cherkaska, Vinnytska, Khersonska and Zaporizka oblasts. Participants had the opportunity to be counseled by psychologists in both private and group sessions. The hope was to provide these families with a change of environment – one in which they were able to start processing the traumatic events that they were living through – and to provide them with the skills needed to cope with their current situation once they returned back to their everyday lives. Over one hundred widows and children whose loved ones died fighting for Ukraine’s freedom and democracy underwent a rehabilitation retreat program, organized and sponsored by CUF. The families underwent assessment by professionals and received psychological counseling, participated in life skills workshops, grief counseling seminars, projective art and music therapy sessions. A comfortable and trusting environment and nutritious meals at the hotel complex in conjunction with the aforementioned program were all part of a daily holistic approach aiding in the process of total recovery of the rehabilitation participants. The rehab programs‘ success isevidenced by the post-treatment assessments by psychologists and widows comments in the Ukrainian portion of this report. 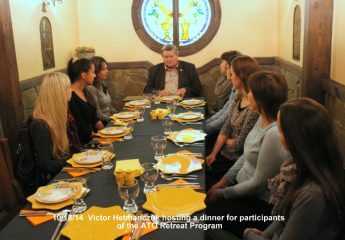 The Rehab Retreat Program is a cornerstone for further development of similar programs which currently are unprecedented in Ukraine. The network of The Rehab Retreat Program‘s participants has gone on to work within their own community: Many of the participants have even initiated their own programs, for example one widow has set up a prosthetics rehab center for victims of the War. News of the Rehab Retreat program funded by CUF is spreading: participants have gone on to share their knowledge, skills and contact information acquired during the retreat with other individuals who are affected by the Anti Terrorist Operation in Ukraine – the waiting list is growing every day. 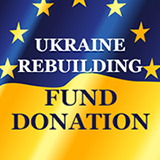 Canada-Ukraine Foundation is now in the process of planning to operate four more in first half of 2015. Report prepared by: Help Us Help the Children under Dopomoha Ukraini and New Generation International Charitable Fund. A team of 20 Canadian medical professionals, including surgeons, anesthetists, and nurses, are in Ukraine on a mission to offer reconstructive surgery to soldiers and civilians wounded in the conflict in the country’s eastern regions. During the summer of 2016, in one tragic moment, Evgen Redka lost his friend, his left eye, and the ability to anonymously walk the streets without the concentrated stares of strangers. The young Ukrainian soldier was nearly killed when the vehicle he was in drove over an anti-tank mine in Eastern Ukraine. The blast left Redka with excruciating scarring on his face and body, but with help from a specialized team of Canadian medical professionals, there’s hope that Redka will once again be able to lead a more normal life. A team of 20 Canadian medical professionals, including surgeons, anesthesiologists and nurses, worked out of an old Soviet-built hospital in Kyiv on a 10-day mission to offer reconstructive surgery to soldiers and civilians wounded during the conflict in the country’s eastern regions. The workload is unprecedented, but there is no shortage of volunteers willing to work long hours for free, said Oleh Antonyshyn, head of the Adult Craniofacial Program at Sunnybrook Health Sciences Centre and a professor of plastic surgery at the University of Toronto. Torontonian Dr. Harry Foster and Winnipeg native Dr. Adrian Hawaleshka are veterans of the mission, which has been in Ukraine three times in the last five years. I’m just hoping I can use my skills to give them back a bit of hope. 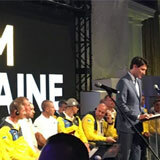 While the missions, organized by the Canada-Ukraine Foundation, are mainly funded by private donations, the team did receive government support in 2016. 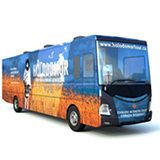 They’re also supported by Stryker Canada, which provides all surgical hardware and implant materials for the medical procedures. Dr. Hawaleshka feels connected here as a Canadian of Ukrainian heritage, but both doctors say they want the chance to make a lifelong impact in the lives of people who otherwise would likely never get the specialized care the Canadians can offer. Canadian medical professionals — including craniofacial reconstructive plastic surgeons, microsurgeons, neurosurgeons, anesthesiologists, GPs, nurses and physical therapists — have now completed over 300 reconstructive procedures on a total of 127 patients through the mission. In 2015, they operated on a 10-year-old boy named Mykola, who was wounded by a blast in Eastern Ukraine. The boy lost both of his legs and one arm, and sustained dramatic shrapnel damage to his face and body. He was brought via train to the Canadian doctors by a Ukrainian volunteer who’d heard about the medical mission on the news. The doctors operated on him almost immediately to help alleviate some of the scarring on the young boy’s face and to pull bits of shrapnel from his body. Eventually, they helped send him to Shriners Hospital for Children in Montreal, where he stayed for one year while receiving prosthetic limbs and relearning how to walk. At first, the patients included civilians shot by government snipers during Ukraine’s 2014 Maidan revolution, but now virtually all the patients are Ukrainian soldiers. Their injuries are all sustained on the front lines and run the gauntlet from almost inconceivable burns and disquieting cases of facial trauma, to more minor but still debilitating wounds. The soldiers are victims of the war in Eastern Ukraine, which began in the early spring of 2014 after Russia annexed Ukraine’s Crimean peninsula and quietly began sending troops and military equipment across the border into Ukrainian territory. Combined Russian-separatist forces have fought the Ukrainian military since the spring of 2014. The fighting has now taken the lives of more than 9,750 people and wounded over 20,000 according to official UN figures, while displacing more than 1.8 million people from their homes. Most of the Ukrainian soldiers seeking treatment will never be able to serve again. At least one, Valeri Skachka, 24, recalled being trained by Canadian soldiers stationed in Western Ukraine during Operation Unifier. Skachka is currently eager to return to the fighting, after surgery on his hand. In two days of consultations, Dr. Antonyshyn and his team saw dozens of patients to determine whether they can be offered treatment. That’s followed by five gruelling days of intricate surgery. And although U.S. President Trump’s commitment to Ukraine in the conflict, established under the Obama administration, has been called into question, a set of U.S. Army onlookers joined the Canadian team for this mission. U.S. Army Major Justin Miller made the trip from Germany as part of a six-person detachment from the American military who are hoping to replicate the Canadian medical mission for their own standalone aid program for Ukraine. Canada-Ukraine Foundation’s (CUF) medical missions in Ukraine have been widely popularised by Victor Malarek on the CTV’s W5 show. Since 2014, CUF has sponsored four missions and the fifth mission to Ukraine started on February 25, 2017. Within the CUF missions, Canadian surgeons and nurses have completed 244 operations on 137 Ukrainian activists and soldiers wounded during the Maidan revolution in 2014 and the subsequent war in Eastern Ukraine. 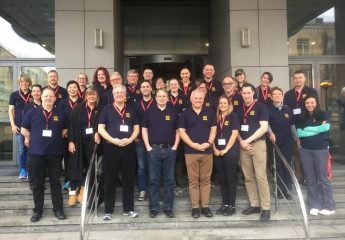 This time, the Canadian mission includes six US military medical professionals, a surgeon and five nurses, who are observing how CUF runs a mission in Ukraine. As Victor Hetmanczuk told us, the US military doctors would like to do orthopaedic master classes in Ukraine. 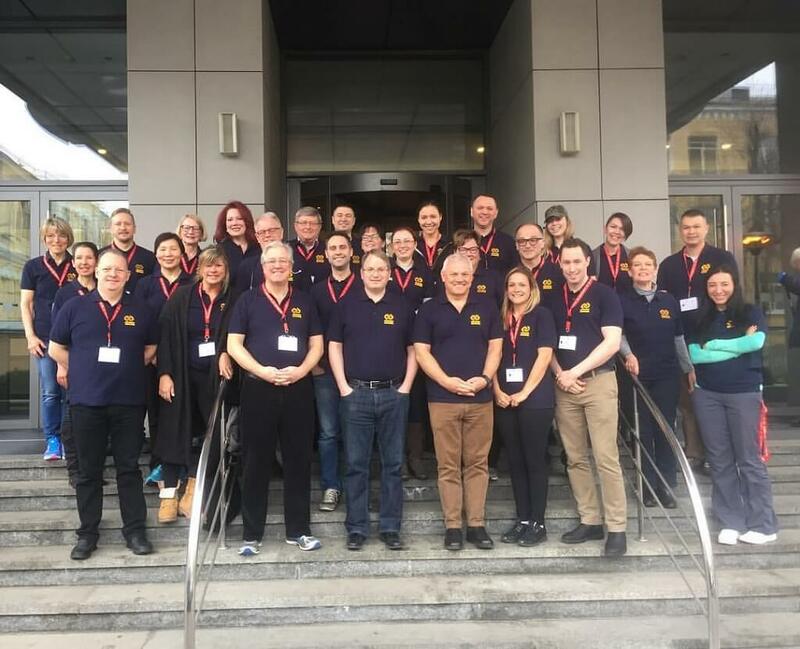 CUF’s mission is showing the American doctors how to interface with the Ukrainian medical military structure to have their own missions in the future. CUF is having one more new initiative this year, said Victor Hetmanczuk: “The Ukrainian nurses have seen how our nurses are helping the doctors, and they too wanted to upgrade their skills. After one of the missions, we went to talk to the Registered Nurses of Ontario to see if we could transfer their best practices to Ukraine. There are about 46 best practices that we are using in Ontario to improve nurses skills after they got their degree. While in Ukraine, I will interview 3-4 sites that will take this best practices guidelines program and start training their nurses to upgrade their skills. 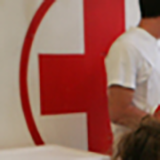 We hope that this program will ultimately reach 400,000 nurses in Ukraine. We also hope that we will be able to help introduce Canadian standards on PTSD into the nursing curriculum in Ukraine. This way we hope to go from individual help to a significant cultural institutional change in the Ukrainian hospital system. 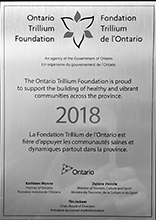 Copyright@2018 cufoundation.ca All Rights Reserved.